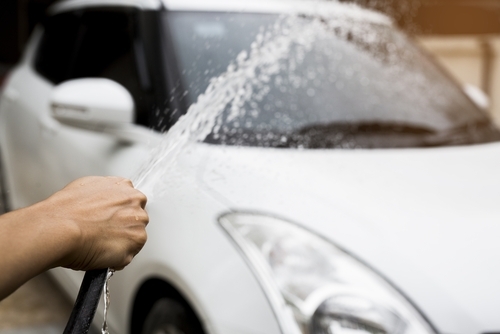 A car wash fundraiser is a fun way to raise valuable funds for your club while at the same time building team spirit and helping your team get some exercise! A great benefit of a Car Wash is that cars community wide get dirty so if promoted well there should be no shortage of customers! This could be run as a stand alone event or as a key activity in a larger event. Ensuring there are lots of people with cars at the event makes for an easier sell of your car washing. A Car Wash is easy to run and fairly simple to set up. It does require a large amount of volunteer time and effort on the day and in promoting the event so this will need to be considered when deciding to hold a car wash. A car wash can include the wider community allowing for fundraising dollars to be raised externally from the people already at your club. Weather is a large factor in a successful car wash. Not only will a rainy day be cold for your volunteers it will also mean people wont have their cars washed! The best time of year is during the warmer, dryer months. It could also be a key activity as part of a larger event or on a game day. Decide a date for the Car Wash.
Promote the fundraiser and ensure if it is part of a larger event it has been included in all advertising for the day. Organise where the cars will be washed. Purchase buckets, car soap, wax, sponges, towels and any other equipment your “washers” will need. Organise volunteers to help and set a roster. Determine what the wash will include and for what cost (there may be a number of options). Pre-sell wash times if possible. Clearly communicate what is included in the wash (or different washes) and how to do it to your volunteers. Monitor the cash coming in and clear to a safe or secure location after. Purchase the equipment to wash the cars. Promote and sell car wash times. Help washing on the day. Expenses to consider (if not obtainable from club members) include signage for your wash bays, costs of hoses, pressure guns, chamois, sponges, buckets, wash soap and wax. Luckily elbow grease is free and you’ll need plenty of it in the form of volunteers. If your club aimed for 100 cars for the day at $10 per wash and at the end of the day your club will pocket $1000 dollars and those involved will be wetter and possibly cleaner as well as having had a few laughs along the way. It’s not only club members that have dirty cars, it is likely the whole community can benefit from your club’s event so promote community wide and not just club wide. Enlist the help of your local radio and newspaper to provide a community announcement promoting your car wash. Get someone at your club to produce a flyer that can be printed and copies left in community centres like shops and schools. Of course don’t forget your to promote within the club on the website and newsletter notices as well as promotion on club social media pages. Effective communication will help ensure your Car Wash event is busy and profitable. You can use social media to build excitement, sell car wash times and countdown to the day. You can also live stream the event on the day so that those in your community can be reminded to come down to support the club. There are obvious financial risks if enough cars aren’t washed to cover the setup and equipment costs. The health and wellbeing of those who attend your event should be a focus at all times. It is important that your club takes time to consider all possible risks and how to minimise these. There are additional dangers to consider when road safety is involved and these need to be made clear to your volunteers. Weather is a risk to consider as no one wants a clean car if the rain is going to ruin it minutes later. Extreme heat can also be a risk for volunteers working long hours in the sun and heat. Alternative arrangements should be discussed and decided on prior to the day should they be necessary. As there are water hazards as well as power both of these need to be taken into account. Ensure adult supervision all times and that all possible measures are taken to reduce the risk and communicate them to volunteer. Water restrictions may apply in some states, so too restrictions on trade in public places so check with your local council to ensure you can run your club’s Car Wash. Your club should set up wash bays near drainage points and with access to water and power. It is important to take into account safety of power around water. It is a great idea to aim to use pressure hoses to reduce water wastage and speed up the washing process. Make sure you pick a date that ensures traffic to your club – a match day, presentation or registration day. Select a location with high visibility and lots of passing traffic. It is also a great idea to have a traffic management plan which includes speed limits and traffic marshals. Organising your washers into teams and making it a competition for the most cars washed in a day can add a bit of fun and help everyone to stay motivated. Clubs may look to have a Car Wash fundraiser as a key activity at a larger event. Additional revenue opportunities if held onsite at your club could include; raffles, canteen revenue and bar revenue. The people having their cars washed will have some time to sit and wait for their car to be ready so this could be a benefit to your club.